A navigation structure acts as a backbone of any website by enhancing the usability, accessibility, and user experience. They work as a perfect guideline for the user that enters a website in search of their required content. So, if the navigation menu of your website is clumsy and boring, it may drive your audience in seconds. But it does not mean that you have to make an extremely fancy menu for attracting customers. You just need to have an informative menu that can represent all your important contents to your visitors so that they could easily find what they are looking for. WordPress, being one of the flexible platforms for its user to creating beautiful website contain inbuilt menu options that will let you add drop-down submenu and images. However, these features are not enough to deal with the high growing market trends. So, if you want to have a navigation panel that can deal with all types of market trends as well as display all your site’s content, you take the help of WordPress Mega Menu Plugins for upgrading the default navigation menu into a mega menu. Mega Menus are those expandable menus that allow you to display your website content into the two-dimensional drop-down layout. It will help you lots of information and rich media such as images, video etc. This will help your visitors find all their required contents in an easy way and will decrease the bounce rate of your website. Now let’s talk about some of the best WordPress Mega Menu Plugins that allow you to upgrade your site’s default menu section into a mega menu. These plugins contain quality features and lets you customize your default menu without any coding skills. Also, these plugins are very popular and have quite high sales. If you are looking for Free WordPress Mega Menu Plugins then check out our collection of 5+ Best Free WordPress Mega Menu Plugins. 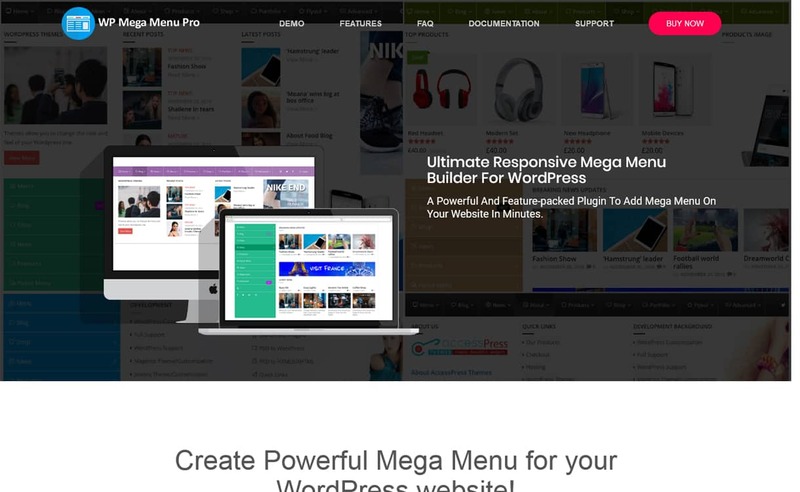 WP Mega Menu Pro is a Premium WordPress Mega Menu Plugin, that allows you to add widgets to single or multiple groups easily. You can assign a specific column to the specific group if you have selected multiple type group for mega menu. The plugin also includes both horizontal as well as the vertical mega menu. 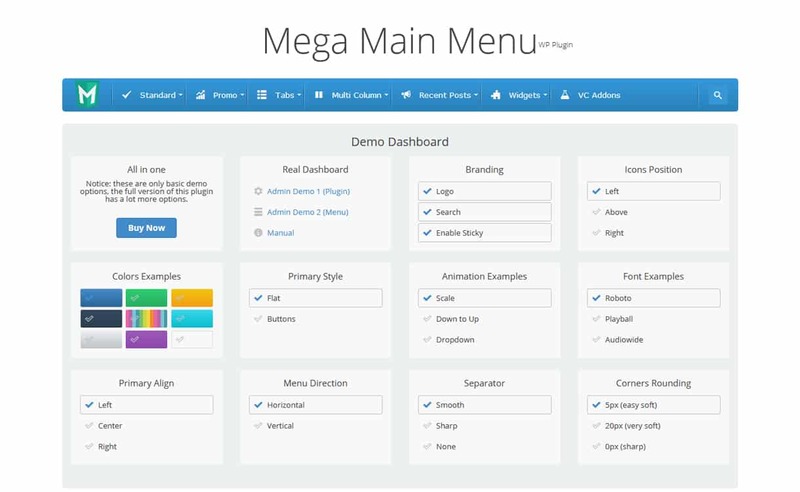 The mega menu is built with visual mega menu builder plugin that features to display the menu as flyout or megamenu type with orientation as vertical or horizontal types. 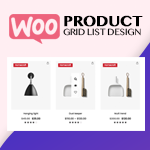 The plugin comes with 14 pre-available beautifully designed templates that allow you to customize your menu bar with multiple customization options. Apart from that you can also configure menu wise settings from admin navigation page and design a stunning mega menu. 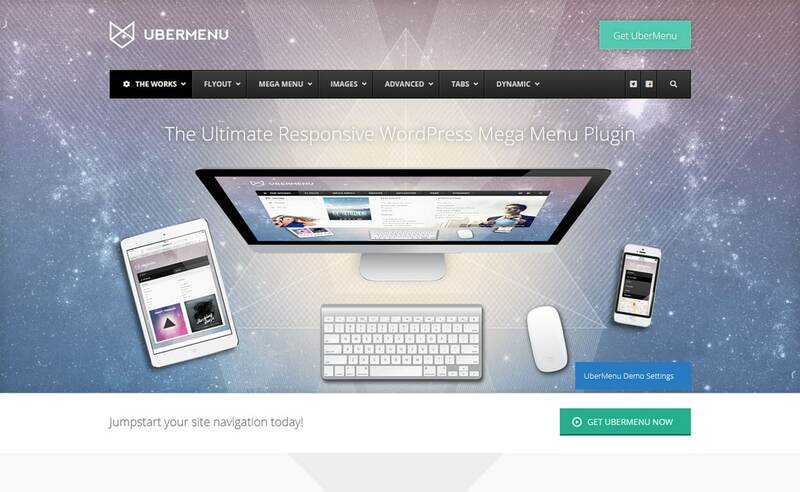 UberMenu is an ultimate WordPress Mega Menu Plugin. It comes with a responsive design that is compatible with mobile devices including iPhone, iPad, and Android. Besides that, you can build advanced submenu layouts with the inbuilt column grid system. It is easy to use plugin that allows you to develop mega menus from your pages, posts, custom links, or content links in a rapid way. 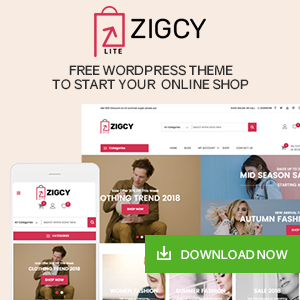 Additional to that, the plugin comes with highly customization options that allow you to customize menu color, size, and font with live preview. Hero Menu is a responsive WordPress Mega Menu Plugins that allows you to upgrade your custom WordPress menu in a few easy steps. 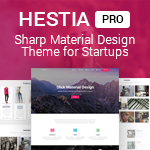 It is an easy to use plugin that comes with customizing colors, fonts, animations, layouts, and many more. You can also use the plugin to create a mobile menu that supports touch for Android, iOS, and Window phones. The plugin also allows you to create eyebrow menu. Eyebrow menu is an extra thin navigation on the top of the current navigation. Besides that, the plugin also provides you the ability to adapt your menu based on the roles assigned to the logged in users. 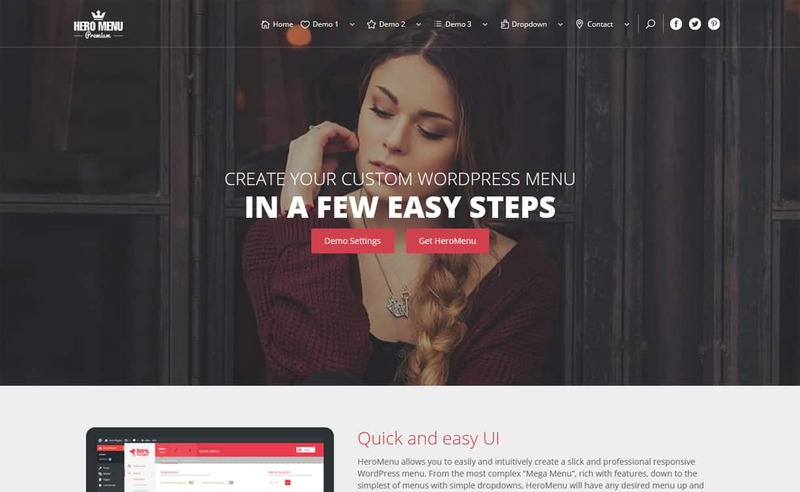 Mega Main Menu is an awesome WordPress Mega Menu Plugin that enables you to customize your default menu into a Mega Menu. The plugin allows you to add sticky menu, icons, awesome drop down, logo and search in a single menu. These compatibilities will look stunning on all types of website. The plugin comes with unlimited color variation. You can use these colors for any menu elements. Also, the plugin provides you with 10+ customization dropdown. You can place menu links, text, images, widgets and shortcodes as the drop-down contents. 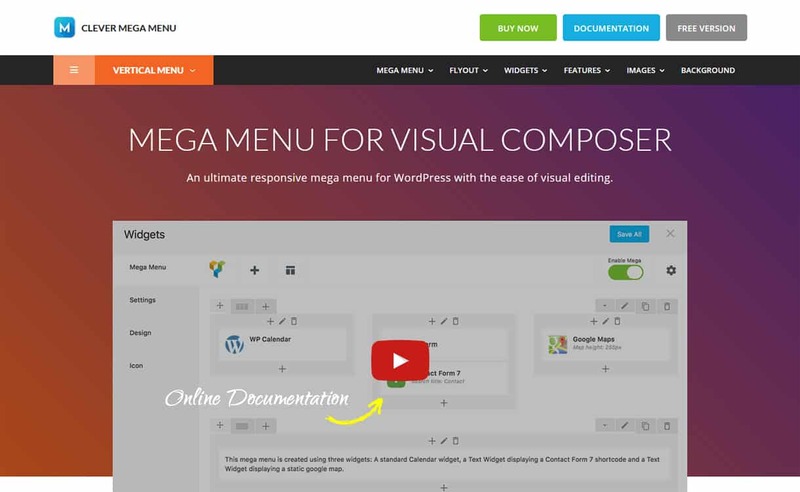 Clever Mega Menu is easy to use WordPress Mega Menu Plugin for Visual Composer. Using the plugin you can gain full control over with navigation with ease of visual editing from the visual composer. Also, the plugin lets shortcodes or widgets into navigation menu easily without any coding knowledge. 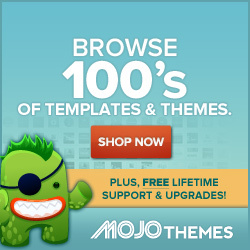 It is highly customizable that comes with a built-in theme editor with 100+ customization options. Also, you can add multiple menus on the single page as well as hide menu items according to the user roles. Besides that, the plugin also comes with unlimited color options that allow you to change the menu colors. The navigation menu is very vital part of your website. They guide the users and allow them to find the content. Also, they provide a great user experience and may sometime even increase your site’s the conversion rate. So, if you are running a website that contains the default WordPress menu then, you can upgrade it by using any of the plugin mentioned above. Hope, the content is helpful for you. If you have any queries, suggestions or recommendations about the article, then feel free to tell us. Also, if you are already a user of any of the mentioned plugin then you can share your experience in the comment box below. You can check out also our other collection of The Best WordPress One Page Navigation Plugins. 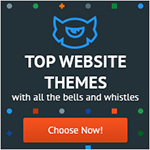 Hey Buddy!, I found this information for you: "5+ Best WordPress Mega Menu Plugins (Premium Version)". 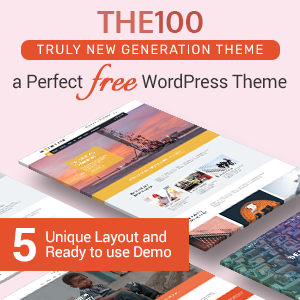 Here is the website link: https://wpallclub.com/best-wordpress-mega-menu-plugins/. Thank you.